Malaysia Airlines' insurer has begun paying the families of passengers onboard Flight MH370 $50,000 each in initial compensation three months after the jet disappeared, a government official said Thursday. So far six Malaysian and one Chinese family have received the advance payment, to which all the families of the 239 passengers and crew onboard are entitled, said Malaysian deputy foreign minister Hamzah Zainudin. Talks with 40 more Chinese families are underway to ascertain they are the rightful claimants, said Hamzah, who heads a committee to support the missing passengers' next-of-kin. The Boeing 777 inexplicably disappeared on March 8 en route from Kuala Lumpur to Beijing, with no sign of wreckage found despite an extensive search off western Australia. Full payment to the families -- who can claim up to more than three times the amount of the initial payout -- would be made later, Hamzah said. The government was not yet prepared to declare the plane lost, he added. "When we talk about the full payment, we have to wait until we announce the issue on the tragedy MH370 is over... whether the plane is found, whether we announce the plane is lost," he said. Passengers' families can claim up to about $175,000 under International Civil Aviation Organisation rules, regardless of fault, in a plane crash. 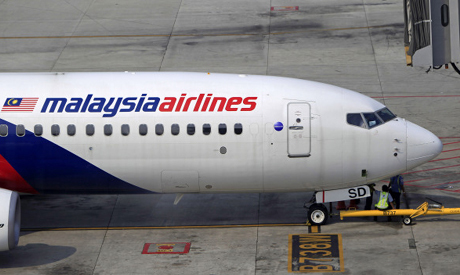 Malaysia Airlines' insurer, a consortium led by Germany's Allianz, is making the payments. Malaysia and Australia have promised they will not give up looking for the plane in a vast deep-sea area in the southern Indian Ocean where the jet is believed to have crashed, based on satellite data. But angry relatives of some of those on board have accused Malaysia and its national carrier of reacting too slowly and covering up information. Two-thirds of the passengers were Chinese. A handful of families on Sunday launched an online campaign to raise $5 million to reward a "whistleblower" who comes forward with information to help find the plane. So far, they have raised more than $25,000. "The government has been very transparent from day one," said Hamzah on Thursday. The next phase of the hunt will see authorities comb a 60,000 square-kilometre (24,000 square-mile) search zone based on the plane's last satellite communication.